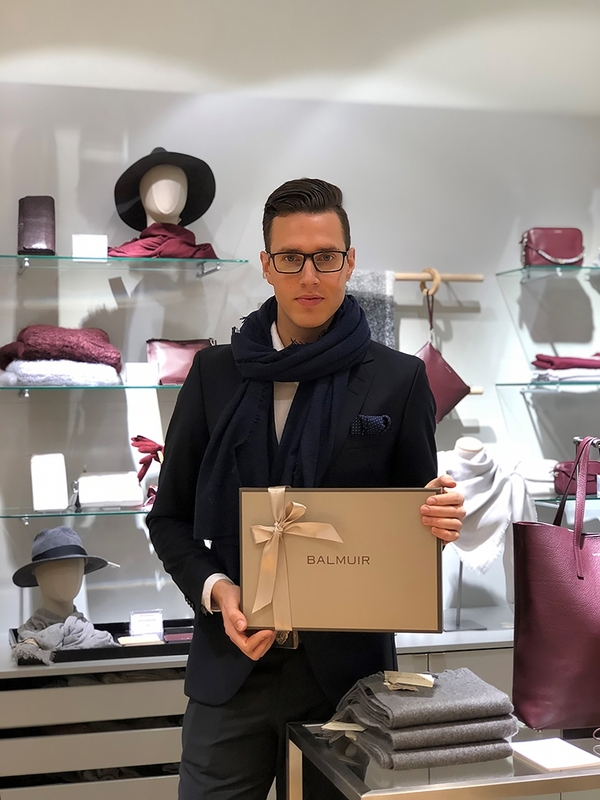 The store manager of Helsinki Balmuir Brand Store, Tommi Setälä, has been employed at Balmuir from year 2017. 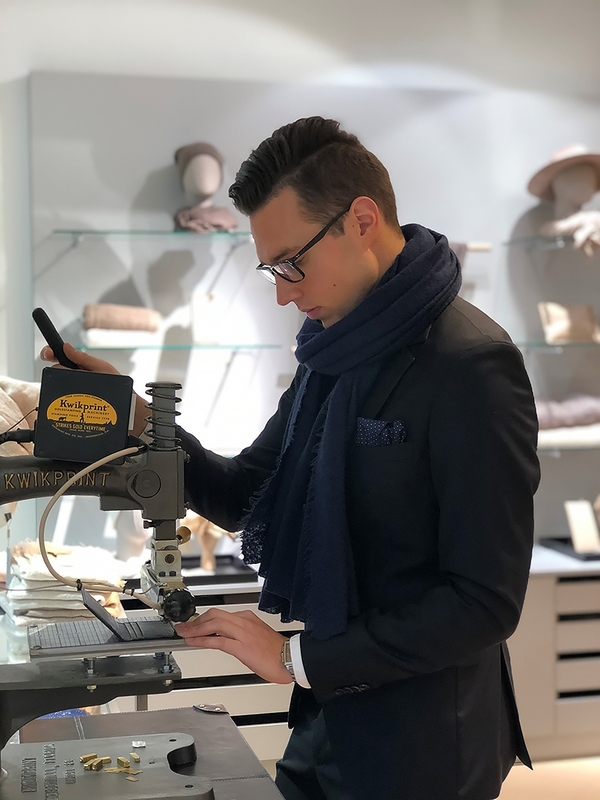 As someone who identifies with the values of Balmuir as his own, Setälä now tells us about his style, job, and Balmuir favourites. How did you end up working at Balmuir? I spent a long while working at the home department of the Finnish department store Stockmann. I was in charge of the most valuable home textiles, which included Balmuir as well. When Balmuir products entered Stockmann it was like love at first sight. In the spring of 2017 the time was ripe, and I was employed by Balmuir. In the beginning of the summer of 2017, I was working at Balmuir’s own department within Stockmann. Near autumn I moved to the new Balmuir Brand Store of Helsinki. What would you consider the best aspect of your work? The best aspect of my work is being able to sell products which I believe in and to represent a brand which shares the same values as I. We also have an excellent team at work. Everyone is motivated towards their work and they always aim to give their best. It is inspiring to work with colleagues who are talented and idea-rich. Do fashion and interior design belong to your interests also outside from work? I am a visual person and have always been equally interested in interior design and fashion. I like beautiful things and collect them around me without noticing. I love to combine different materials, but I prefer my colour palette subtle for an overall calm look. My favourite season is here soon, and I get to decorate my home for Christmas. Just before the Christmas Eve I change the bedding into silk bedsheets, which I combine with linen cushion covers in shades of gold, burgundy, and linen. The theme of the table decor for the Christmas holidays changes each year and the family always get to be surprised of which theme and colour scheme I choose. When in hurry, it is typical for me to wear the first clothes that I grab onto from my closet. However, sometimes it’s wonderful to think of the perfect look for a particular occasion. I would describe my style as smart casual, but at a party I favour a classier style. On the other hand, sometimes I prefer a more relaxed style. For each outfit I can always find a suitable scarf from our selection. The same scarf can often be worn in almost all situations. Has working at Balmuir affected your style? I have become more quality conscious. I avoid buying things that I don’t need and focus on quality. My style has become a bit more grown up and I don’t take myself too seriously. I don’t always dress in accordance to the latest trends but prefer rather a more sustainable and timeless style. What are your favourites of the Balmuir accessories? I like everything unique. Of the women’s accessories, my absolute favourite is the Aurora Kid Mohair scarf with ostrich feathers, which is only available at our Brand Store at the moment. I would pair the scarf with the Milan clutch, which is made from stingray leather, the Vicenza tunic and a pair of tight trousers. The clutch is also available exclusively at our Brand Store. For men I recommend the Highland scarf. Its cashmere wool is silky soft and stands the test of time well also with men, even if worn with a stubble or beard. I always keep the Helsinki cashmere scarf with me while travelling. It is easy to slip into a bag and to use as a blanket on the airplane. Our customers always return to purchase the same scarf in the new colours of the season. Lausanne cashmere robe has also always been a favourite of mine. I finally decided to get the robe for myself. I’ve thought of using it in the city during springtime and combining it with a casual style: Slightly worn-off jeans, boots, a light shirt and the grey cashmere robe. I would also add a pair of sunglasses and tie the robe belt in the back for a relaxed effect. 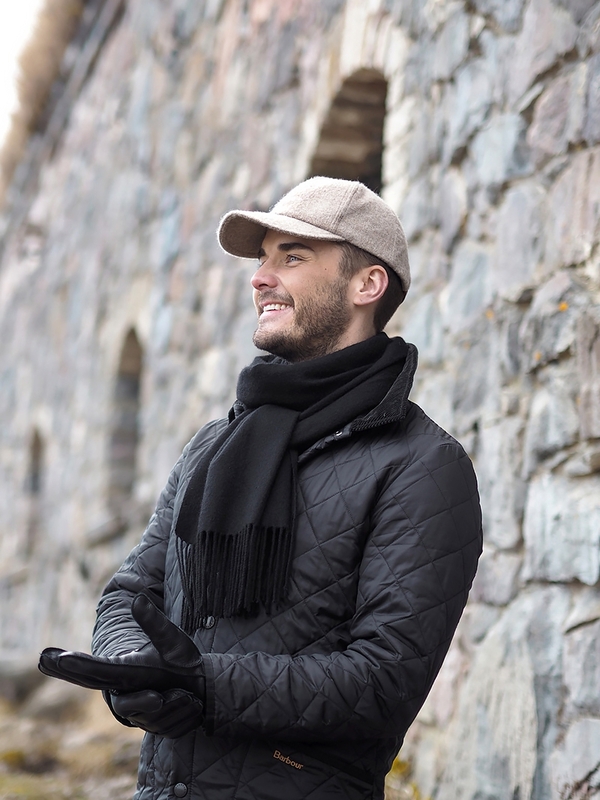 If you are having a bad hair day, you could also add the loose Clarens cashmere beanie to the look. What are your favourites of the Balmuir interior decor products? In interior decor I am attracted to everything that’s beautiful and I am always sensitive to the overall atmosphere. The strongest memories are always those which I get to share with good friends. Usually those memories include opening a bottle of bubbly, which always tastes better from the Balmuir Piemonte crystal champagne glasses. The Verona candle stands are a true eye catcher. I recommend combining them with the velvet ball candles, which alternate in their colour selection in regard to the seasons of the year. For some balance, you can also add some linen napkins to bring softness to the table decor. Now that Christmas is coming, it is time to enjoy some Finnish mulled wine again. The Winston crystal tumblers from our selection are so thick that the glass won’t burn your fingers. 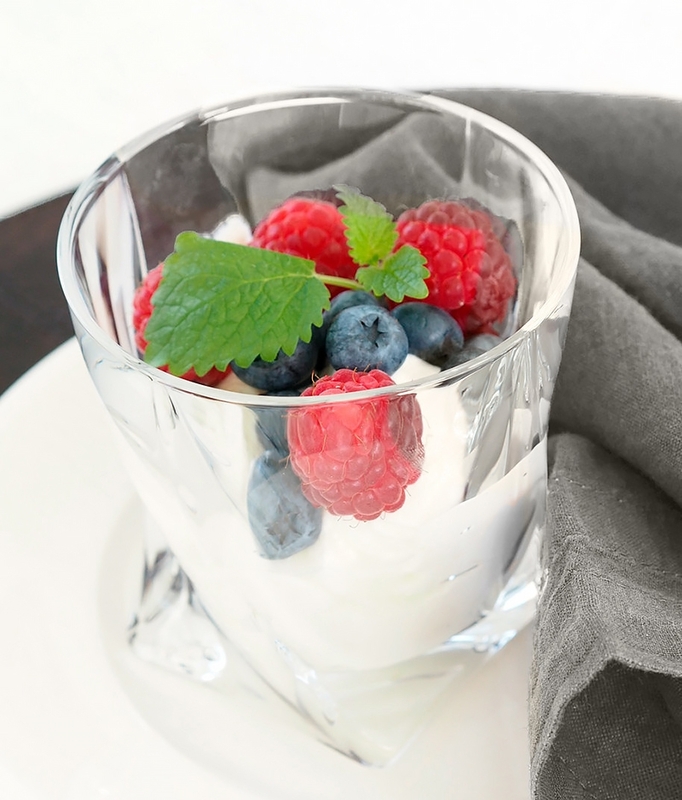 I often use these glasses for anything from dessert dishes to smoothies. What greetings would you like to give to the customers of Balmuir? We are happy to help customers and we always offer complimentary coffee in between shopping. We collect all customer feedback and have in fact developed our collection often in accordance to the feedback we have received from our customers. I always tell my customers that with us you can and must touch the products because the materials are what we sell and are proud of. Don’t hesitate to come to our Brand Store to sense and experience the Balmuir that we all share together. See you in the store at Park Esplanad!